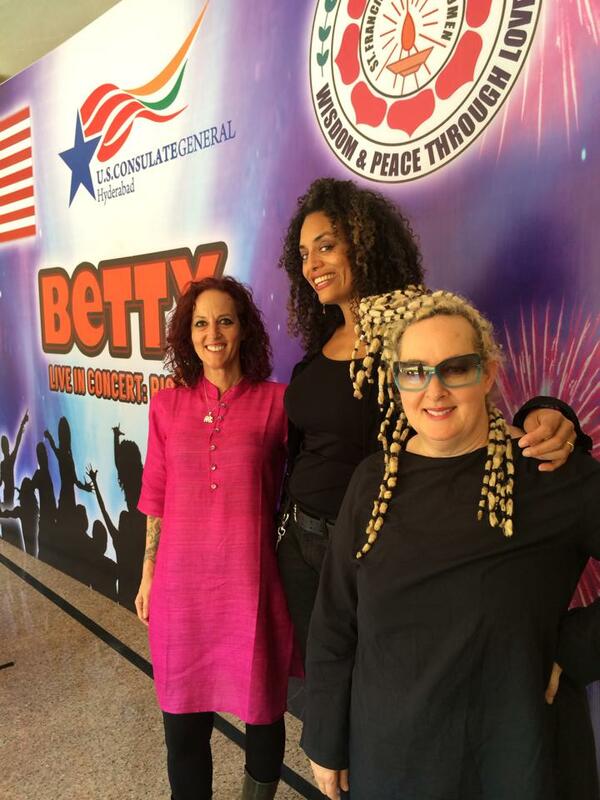 BETTY is a pop music trio whose passion for music and entertainment is matched by our devotion to women’s rights and human rights. We are Alyson Palmer, Elizabeth Ziff and Amy Ziff, harmony-singing songwriter musicians who have toured and played together for almost thirty years. From spoken word to simple a’cappella to roof-raising arena rock shows, in the United States alone, BETTY has performed over 500 concerts to raise money and awareness for women’s rights, gay rights and human rights organizations to help support broad-based agendas for social change. Over the past decades, that trajectory has serendipitously led us to help design materials and run workshops on such issues as reproductive rights and responsibilities with Planned Parenthood, body image with No More Diets Coalition and self-advocacy with the US Embassy, including on a recent extended tour across India. BETTY has gone from rabble-rousing young rockers to road-experienced wise women while gaining even more enthusiasm for positive social change along the way. Internationally, BETTY has been honored to take part in numerous cultural exchange tours as Arts Envoys for the US State Department. The tours through India, Lithuania, Estonia, Latvia, Argentina, Mexico and the Czech Republic led to our latest self- advocacy discussion program, “RISE: Using Your Unique Voice To Create Change”. Pioneered with groups of students, poets and performing artists, community organizers and survivors of sexual trafficking in Delhi, Shillong, Kolkata, Guwahati and Hyderabad, BETTY’s program helped attendees focus on self-determination and effective expression while creating performances for self-empowerment. © 2014 The BETTY Effect. All Rights Reserved.